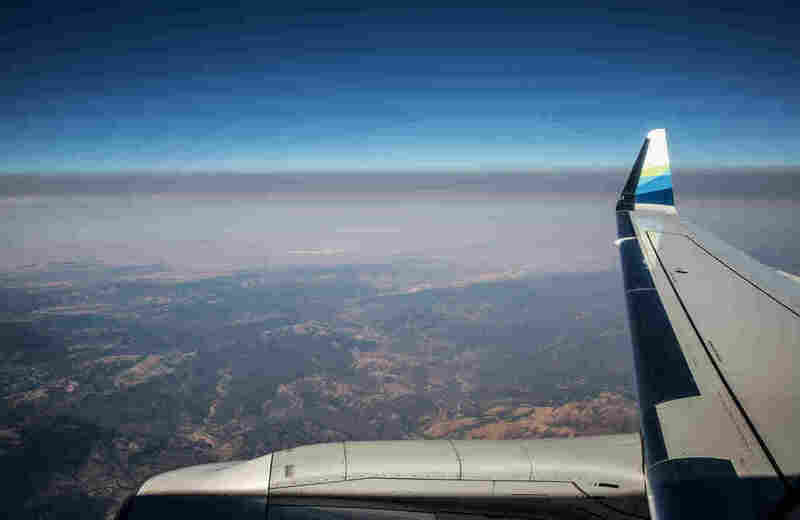 Toxic Brew Of Smoke And Exhaust Settles Over Neighborhoods In California's Heartland : Shots - Health News Low-income residents living near highways and agricultural and industrial zones are getting hit with a "double whammy" as wildfire smoke drifts to areas where the air is often polluted already. A thick layer of smoke from the Carr Fire settles over California's Central Valley in a view from a jet earlier this summer. Fine particulate matter from drifting wildfire smoke mixes with industrial ozone and can become trapped between the mountain ranges.